The AMS did something unusual recently: it found some friends. During the AMS’s recent lobbying trip to Victoria, the society partnered with the Simon Fraser Student Society (SFSS) and the BC Federation of Students (BCFS). Student unions across the country often pool their resources to impact a wide range of issues such as budgeting, student loans and on-campus housing through their lobbying efforts. But unlike the majority of Canadian student unions, the AMS is not a member of any formal student alliance — and the reasons for that are as rooted in politics as they are in history. Joining a student association is an investment and a risk. Many require annual membership fees that can range from $40,000 to $70,000, and have been associated with corruption, inefficiency and irreverence since their inception. According to AMS Archivist Sheldon Goldfarb, Canada’s first national student organization, the National Federation of Canadian University Students (NFCUS) was founded in the 1920s. By the ’60s, it took the name of the Canadian Union of Students (CUS) and became more radical, influenced by Marxism and the anti-war movement. The CUS’s critiques on capitalism and the Vietnam War drew scrutiny, as it was accused of focusing on issues beyond campuses. On March 1969, students at UBC voted in a referendum to leave the CUS. Several other schools followed this decision, and the CUS collapsed the following year. Seven years later, the AMS joined the Association of Student Councils (AOSC), which later merged with the National Union of Students (NUS) to create the Canadian Federation of Students (CFS) in 1981. The AMS was a prospective member for the CFS — but there were problems. The association was already riddled with complaints of corruption and ineffectiveness. Students voted overwhelmingly in a referendum against joining the CFS that year, with a vote of 4,177 to 815. They then joined other student societies to form the Canadian Alliance of Student Associations (CASA). The partnership was rocky from the start. In 1996, the AMS withdrew from the organization over concerns of financial mismanagement, then rejoined again in 1998. 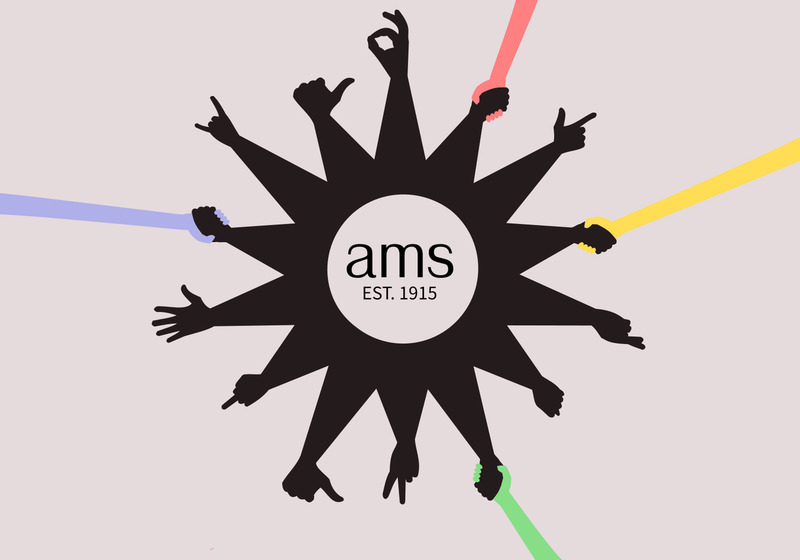 A decade later, the AMS dropped down to an associate membership and eventually decided in November 2011 to leave the organization. Two years later, the AMS joined the Alliance of BC Students (ABCS). They left the ABCS in October 2015 for a variety of reasons, foremost of which was that they only had one vote on member decisions even though they represented 42 per cent of the association’s students. They also paid 32 per cent of its total fees (approximately $15,000). The AMS still occasionally reaches out to other unions. One example is the Student Union Development Summit (SUDS), a national conference the AMS hosts every year. In addition to SUDS, the AMS also joined the Undergraduates of Canadian Research Intensive Universities (UCRU) last year. UCRU consists of a majority of the U15 schools — Canada’s top research-intensive universities. There are no membership fees to be a part of UCRU, and what the alliance does is bring the schools together and lobby towards their collective needs. Most recently, the AMS went on a collaborative lobbying trip with the SFSS and the BCFS — something other unions were happy to see. The AMS is happy to work with other unions when it works out — but given the history, the society is understandably reserved about formally committing to any larger alliances.